With the rise in the total number of businesses, the usage of portable office cabins have earned a high reputation in the present days. SAMAN Portable Office Solutions brings to you different styles of office cabins without burning a hole in your pocket. Such type of cabins offer the maximum flexibility. There are different applications of these cabins. As the leading manufacturer and supplier of portable office cabins, we ensure that you can make the best use of these cabins as changing areas, leisure facilities, classrooms, offices, houses, shops, to name a few. These cabins have become the prime choice of people owing its portability and thus you can move them from one place to another without any hassles. One of the prominent reasons why people are fond of the office cabins, available with us is due to the fact that they are of high specification in terms of construction. The timber or steel frame allows the construction of the modular buildings offsite and thus they can be transported in a single piece to the new location. If you are looking forward to start your business but have not decided on a permanent place yet, these office cabins are the best options. You can start your office today in these cabins and once you figure out the prerequisite location for the same, you can relocate it to the place without encountering too much of hurdles. We stand out of the ordinary in providing supreme quality of services in the installation of these cabins. We have offered our products to a bunch of public and private offices and we have gained success in bestowing the ultimate satisfaction to our clients. 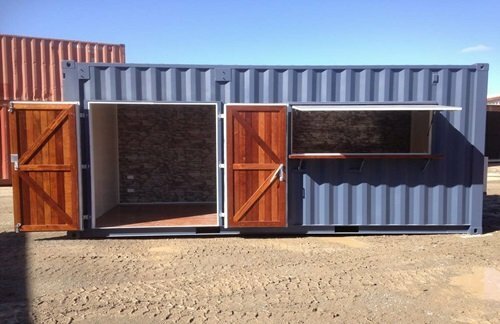 As the specialists in the field, we have been successful in the manufacture of these cabins as the solutions are known to be portable and we understand the requirements of the clients. We also work hard in order to fulfill the demands of the client with great enthusiasm and ensure that the products are delivered on time. The office cabins, developed by us, are capable of serving various purposes and thus they are given higher preference over the permanent structures. They consumer lesser amount of space and involve a reduced cut off from the pocket. One of the prominent reasons why people love to choose these cabins, available with us, is that they can be dismantled after their usage. Thus, you can be ensured that you can reuse these cabins time and again without the creation of waste. These customized cabins have become the necessity today. Owing to the wide array of facilities, they bring in, they are becoming widely popular. They are designed and constructed at the factory after which they are transported to the site. As they need little maintenance, they are conferred higher preference over different other options, available in the market. Today, they are designed in accordance with the specifications of the customers. If you need to start your office immediately but have not yet got the space to start the same, these office cabins can be a wise choice. You can use these structures as the standalone office or you can integrate them with the buildings that are already existing. If you wish to create a comfortable and professional working space without spending too much of money, you are surely going to love the portable office cabins, available at SAMAN Portable Office Solutions. You can also contact us to customize the office cabins in order to give it the look of a classroom.